The poster for Mission: Impossible – Rogue Nation set quite a high bar – I mean, it literally showed Tom Cruise holding onto the side of an ascending plane. How much more insane can you get? With that burned into memory, it might be a bit disappointing to see the new poster for the next impossible Cruise mission, at first. 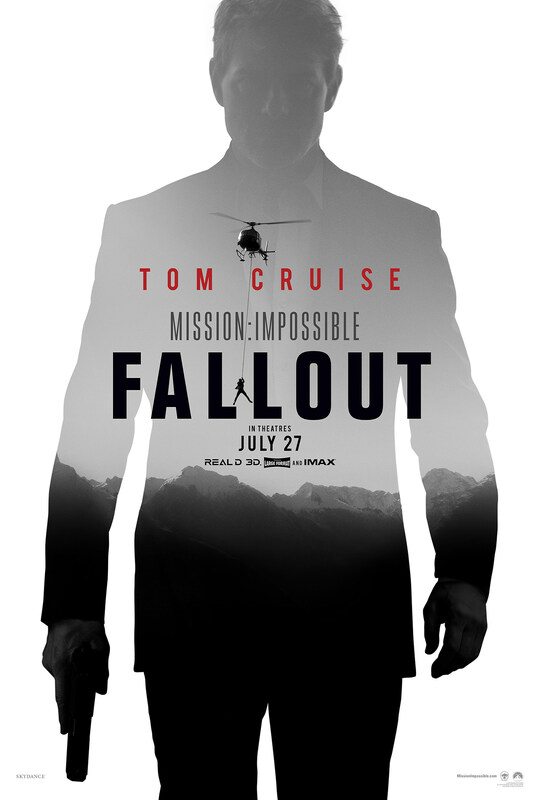 The one sheet for the sixth film, Mission: Impossible – Fallout, is a black and white transparent outline of Cruise’s body, dressed in a suit and holding a gun. I appreciate the Bond-like aesthetic, but it's nothing wild for an action franchise known for how insanely wild it is. But wait! Is that a tiny Cruise inside of the bigger Cruise falling out of a helicopter!? Fallout… get it? Okay okay, I’m on board. That’s not all we got though. If you’re following Cruise on Instagram, you’ll notice he debuted the film’s first teaser trailer this morning. Granted, it isn't thrilling, just his Ethan Hunt slowly walking through a set of heavy shiny doors. But hearing the first couple notes of the classic Mission: Impossible theme music is enough to get you hyped for the full trailer, arriving this Sunday during the Super Bowl. Details on the Christopher McQuarrie film are still fairly minimal, described as “a race against time after a mission gone wrong.” But we do know Rebecca Ferguson’s Isla Faust – the MVP of Rogue Nation – is back, along with Alec Baldwin, Simon Pegg, Ving Rhames, and Michelle Monaghan’s Julia. Making that cast even more perfect will be Angela Basset and Henry Cavill’s mustache. Mission: Impossible – Fallout hits theaters July 27.